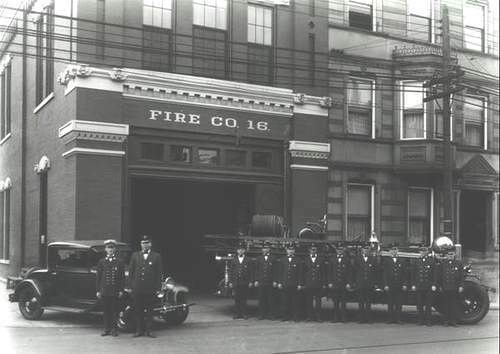 For today’s Throwback Thursday, we’re taking a closer look at the historic Fire Company 16, located at 773 E. McMillan St. The building was stabilized in 2012 by Max Construction Group using City of Cincinnati TIF (Tax Increment Financing) dollars, ensuring that it will remain standing in good repair for decades to come. The next step is to move forward with a full renovation and reuse! Designed by famed architect Samuel Hannaford, Fire Company 16 was built during a time of City expansion. Cincinnati in the 1850s and 1860s was booming. Transportation improvements allowed people to move further out from the Downtown area, and a vibrant suburb named Walnut Hills was annexed. Part of the annexation deal included City fire protection, and so Fire Co. 16 was founded. The firehouse was built in 1870 and put into operation on July 1 of that year. In 1871 it became a steam engine company, as Cincinnati was at the forefront of the steam-powered fire engine improvements happening across the country. 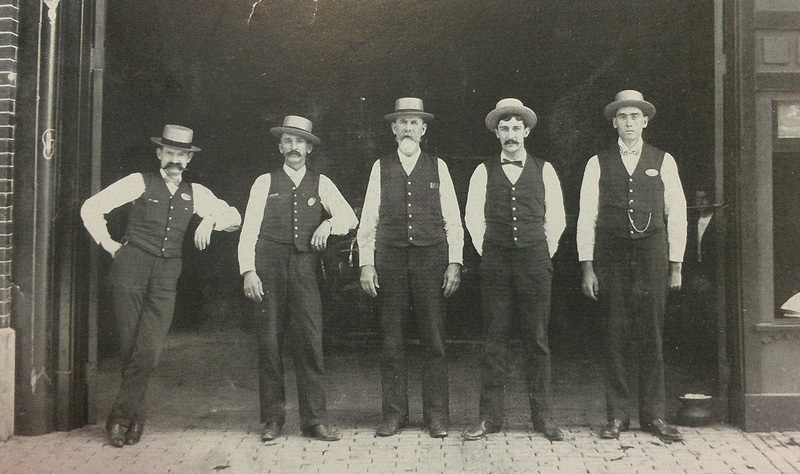 Motorized engines were introduced in 1918, and Fire Co. 16 remained in operation for more than a century. In 1977 a fire damaged the firehouse, and on July 8, 1978 the station was disbanded. 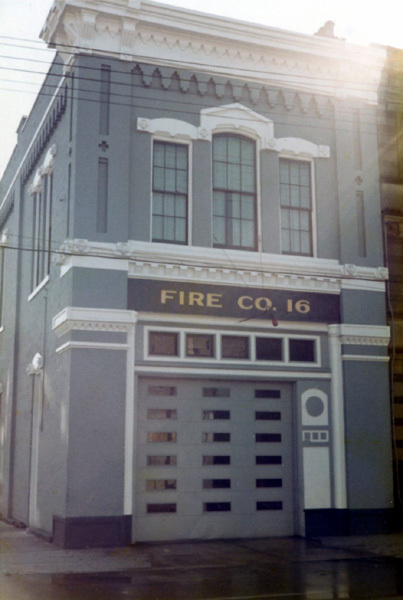 Fire Co. 16 still stands as Cincinnati’s oldest remaining firehouse. 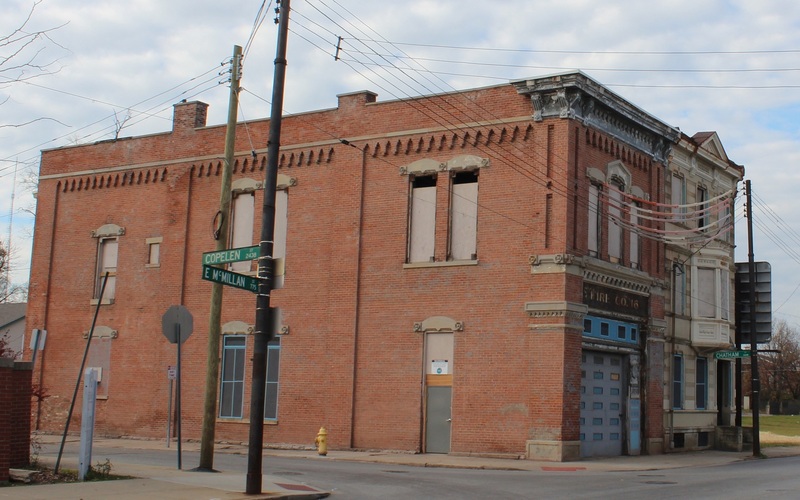 Fire Company 16 is among the finest examples in Cincinnati of the Italianate architectural style, built with red brick and carved-stone window lintels. The first floor has a cavernous 15 ft. floor-to-ceiling height, and a the second floor has a 10 ft. height. Adjacent to the firehouse is another historic structure, the Hamilton House (currently undergoing stabilization), as well as assembled vacant parcels on both sides of McMillan ready for development.